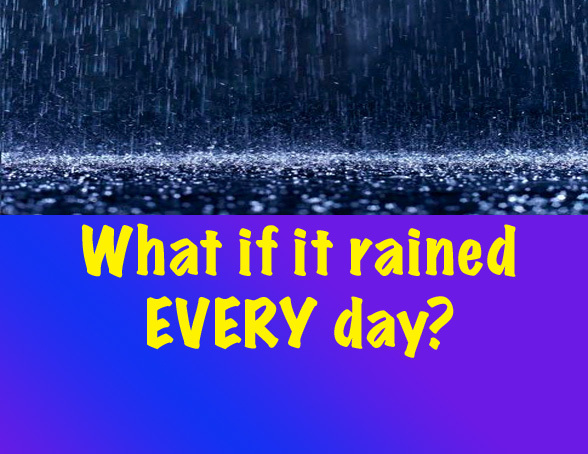 if it rained every day the only thing that will be on the planet is water. and breth agin but the city will be. If it rained every day there will be a flood everywhere, plants will die, children can’t go to the park. If it was raining everyday it would be boring. Everyday would be horrible you would not get a chance explore the world and do fun outside activities due to the bad weather!! It rains everyday anyway in London! Miss Papas I really miss you!! Luckily Josh is coming to Heavers next year! You know my little brother. Miss you and Miss Kelly! It is lovely to hear from you, we miss you too! You were fantastic on the TV show and I really like what you said at the end of the series about continuing to focus on your work. You know as our future Prime Minister you have a lot of studying to do! !